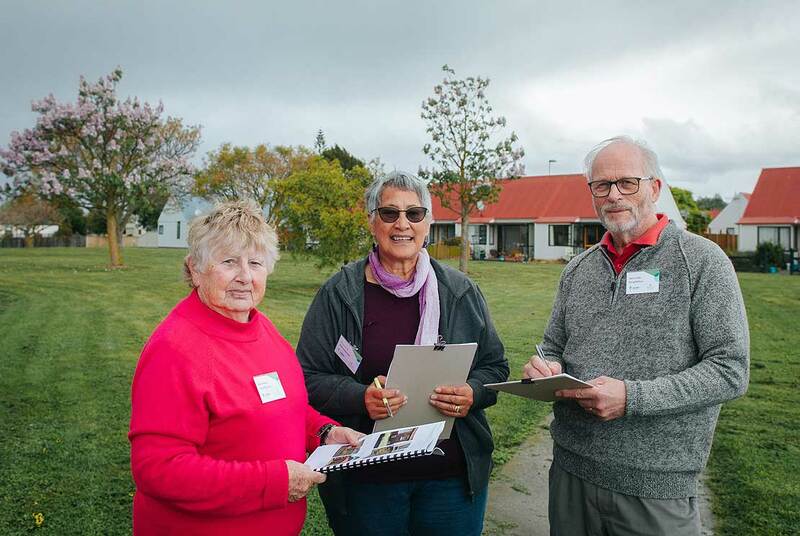 Teams of senior citizens are getting out on the streets around New Zealand to gather data on how suitable a neighbourhood is for older residents. The project is a partnership with Massey University health psychology researchers, and the results are shown on a publicly available online map of New Zealand. 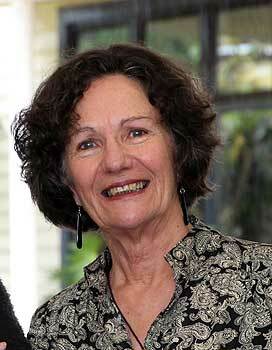 Professor Christine Stephens, from the Health and Ageing Research Team (HART) at Massey’s School of Psychology, says the pilot scheme is being rolled out in Napier, Levin, Foxton, Wellington and Dunedin, with the help of volunteers from Grey Power, Māori Women’s Welfare League and other community and senior advocacy groups. From cracked pavements and pot holes to poor street lighting and overly steep inclines, the aim is to identify the age-friendliness of New Zealand’s residential areas and where improvements are needed, as well as to identify strengths. It is in response to the reality of our ageing population set to burgeon in the coming decades. Councils need to factor in the needs of older people living in the community for civic planning, says Professor Stephens, who is co-leader of a longitudinal study on the health and wellbeing of New Zealanders as they age, and has investigated diverse issues, including housing, transport, work, social connections, and technology. This latest project is trialling the participatory research tool OPERAT (Older People’s External Residential Assessment Tool), where seniors collect information about their local neighbourhoods. It was developed by Welsh researchers Professor Vanessa Burholt and Dr Matthew Roberts, at the Centre for Innovative Ageing, Swansea University. Professor Stephens says the project is empowering for volunteers because they are helping to ensure the needs of their age group are being considered. They are provided with a manual, survey questions and clipboard and can enter the data they collect online or by posting it to the research team. Professor Stephens and research officer Daygan Eager have been running training sessions and focus groups with volunteers around the country. In Napier, volunteer data collectors, including members of Napier City Council’s Positive Ageing Strategy Reference Group, Napier Community Patrol, Age Concern Napier, and Māori Women’s Welfare League, have just begun a month-long data collection period. It is the only New Zealand city to receive central Government funding for an age-friendly project, from the Office for Seniors, which is part of the Ministry of Social Development. The volunteers will be making observations from the street about property, for example, the state of footpaths, street lights, noise, traffic, and green spaces. The information they collect may be used by Council to help inform its Positive Ageing Strategy, and by other organisations wanting to build a picture of how ‘age friendly’ our communities are, says Craig Ogborn, communications and marketing manager at the Napier City Council. The OPERAT tool is a visual checklist of 17 items, completed on location in a meshblock area. Meshblocks usually contain about 20 properties. When the assessment is completed the results from the 20 properties are used to calculate an overall score for the meshblock area. Scores are calculated for four subscales that capture: Natural Elements; Incivilities and Nuisance; Navigation and Mobility; and Territorial Functioning. The pilot is being funded by Massey University’s Strategic Excellence Research Fund, and Professor Stephens hopes to see it extended to other parts of New Zealand – particularly those with high proportions of older residents.